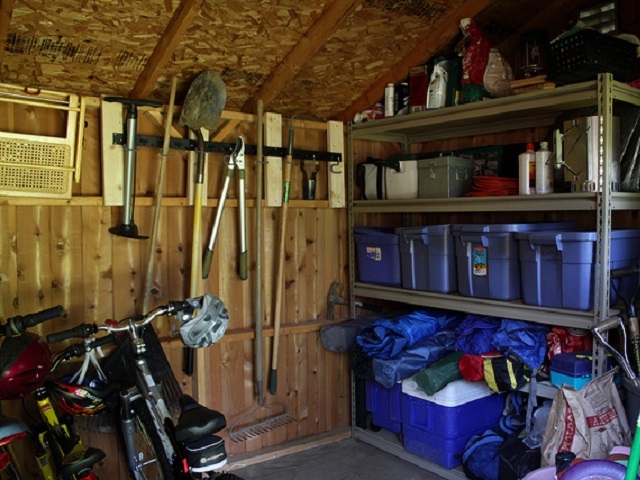 As an inseparable part of many households, a garden shed is a place where all the extra stuff is stored; from tools, hoses, lawn mowers, spare wheels, and pretty much everything that you do not keep inside the house, you store it within the shed. 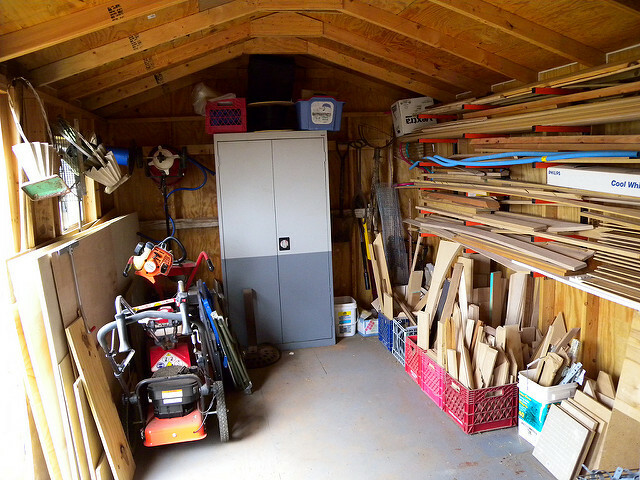 Thus, it is very important to keep the shed organized so that you use its full capacity. But, people lately just randomly threw in the shed all the things which could not find their place inside the house. As time flew by, shed became messier and messier, and the storage capacity was falling. 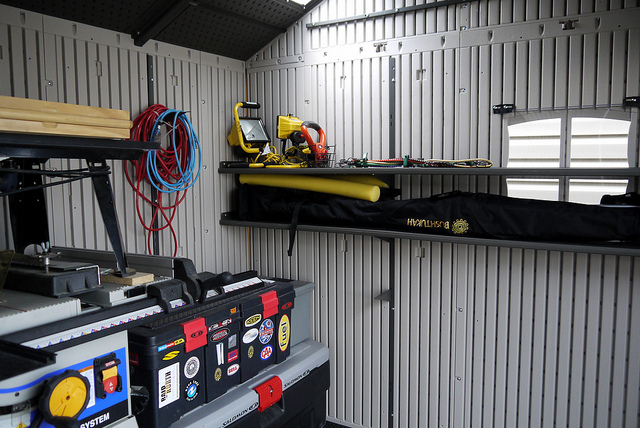 The time has come to return the shed to its original shape, and even improve it; by simply reorganizing and following the below listed tips, your shed’s storage capacity will drastically increase. The first thing you have to do is get rid of the things that trip you every time you enter the shed – the hoses. These are everywhere, and once they get entangled, chaos begins. Start by taking care of them first; wrap them around a hook mounted on a wall, or around anything that will keep it wrapped and organized, like an old tire rim. The goal is to have it properly stored and untangled, so that you can easily access and use it the next time you need it. 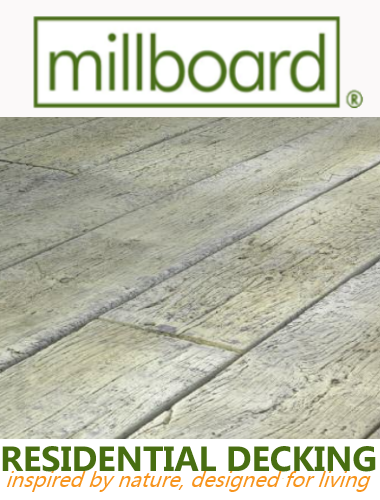 Once you get rid of them, your movement around the shed will once again be unobstructed. Many sheds have the same problem: too many shelves and too little free space. People tend to put all sorts of things on the shelves, and by doing so, they disrupt the balance and reduce their shed’s storage capacity. The only proper solution to this problem is installing flexible shelves which can be rearranged and adjusted by your liking. There are plenty of versatile shelving solutions out there, yet one thing is certain: the more shelves you have, the better your shed will be organized and the more storage space you will have. In most cases, all of the height space within a shed is unoccupied. This is a common mistake, for if one would use the height to create additional storage space, you would save his wallet from spending additional money on shelves and other storage units. Simply buy and attach storage bins that hang from the ceiling and they will provide you with all the extra storage space you need. Also, vertical organization should be flawless, and all of the long tools should be vertically placed on the wall. There are just so many garden tools within every shed, and when you realize that you might need a screwdriver, finding it could prove to be impossible. Having that in mind, it is highly recommended that you keep all your tools, especially the important ones inside of the labeled tool boxes. This will save you all the trouble from searching for the smaller things that you might need and will at the same time give you a better organized place. Having tools lying around is something you want to avoid at all cost. Before you know it, your shed will become neat and organize and you will be able to move around freely, knowing where everything is. And only at this point will you realize the true storage capacity of your shed.